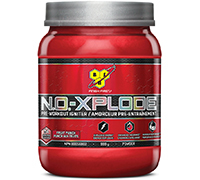 In 2004 BSN® changed the landscape of sports nutrition forever when we introduced the first complete pre-workout supplement, N.O.-XPLODE®. BSN® pros have been hard at work over the past year to deliver the next evolution of pre-workout supplements. We talked to supplement users, heard the feedback, and crafted a formula designed to help deliver explosive energy, enhanced endurance and maximum performance through our new Master Performance Blend. 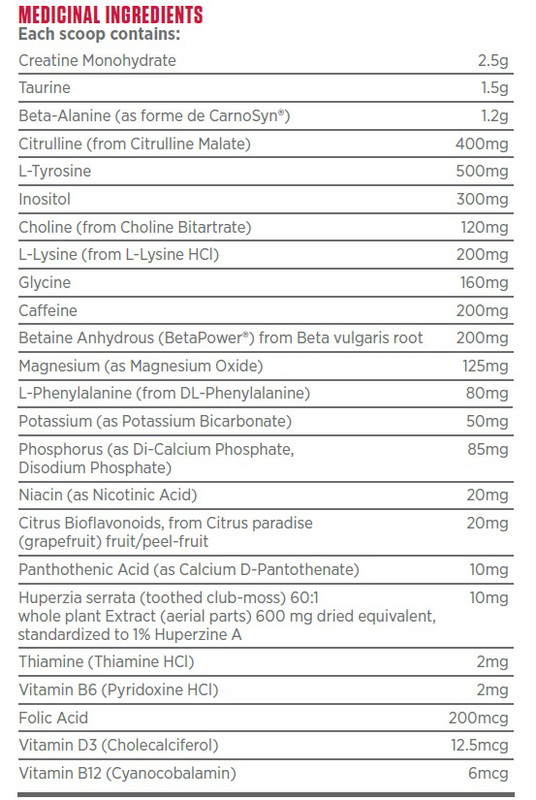 In fact, over 75% of consumers who sampled the formula during the development process told us the product delivered the right level of energy, endurance and muscle pumps.1 We also took our work one step further and enhanced the taste, ensuring the new N.O.-XPLODE® delivers on the BSN® promise of great taste and superior mixability. Featuring a more concentrated formula (over 17% reduction in serving size2) and advanced ingredient technology, N.O.-XPLODE® has been re-engineered to help push you and your workout past previous limits. Push yourself and your workout as far as you can; then, push further. To maximize every moment of your workout and achieve your best results, you need energy. Equally as important is to channel that energy, ensuring a mind-muscle connection. Our Thermic Energy™ blend helps deliver explosive energy, enhancing your workout intensity from start to finish. BSN® pros understand how to make a product that is both effective AND tastes great. We have applied this knowledge to the new N.O.-XPLODE®, creating 5 amazing flavors: Fruit Punch, Blue Raz, Watermelon, Grape, and Green Apple. Non-Medicinal Ingredients: Natural and Artificial Flavours, Citric Acid, Sodium Bicarbonate, DL-Malic Acid, Silicon Dioxide, Calcium Silicate, Tartaric Acid, Acesulfame Potassium, Sucralose, Grape Skin Extract, FD&C Red #40. Recommended Use: WARNING: CONSULT YOUR PHYSICIAN BEFORE USING THIS PRODUCT IF YOU ARE TAKING ANY MEDICATION OR ARE UNDER A PHYSICIAN’S CARE FOR A MEDICAL CONDITION. NOT FOR USE BY THOSE UNDER THE AGE OF 18, WOMEN THAT ARE PREGNANT, TRYING TO GET PREGNANT, OR NURSING, OR THOSE THAT ARE SENSITIVE TO BETA-ALANINE, CAFFEINE OR NIACIN. DO NOT CONSUME CAFFEINE FROM OTHER SOURCES WHILE TAKING THIS PRODUCT AS TOO MUCH CAFFEINE MAY CAUSE NERVOUSNESS, IRRITABILITY, SLEEPLESSNESS, AND OCCASIONALLY RAPID HEARTBEAT. BETA-ALANINE AND NIACIN MAY CAUSE A HARMLESS, TEMPORARY TINGLING OR FLUSHING SENSATION. Do not combine with alcohol. Consume as part of a healthy diet and exercise program, and drink at least 100 oz of water per day. Exercise may increase your need for additional fluid intake. Keep out of reach of children. Store in a cool dry place away from direct sunlight. DIRECTIONS: Mix 1 scoop with 4-6 oz of cold water and consume 20-30 minutes before training. Do not take more than 2 scoops at a time or in 1 day. Approximately 200mg of caffeine per serving. WHILE MIXING N.O.-XPLODE®, DO NOT SHAKE. STIR POWDER WITH UTENSIL.